Grow your turf management career and salary potential with the Rutgers Two-Year Certificate Program! In this 2-minute video overview, find out what Rutgers can do for you through the words of our students. 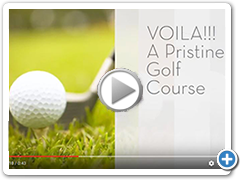 Find out why you should take our Three Week Preparatory Course in just 45 seconds! 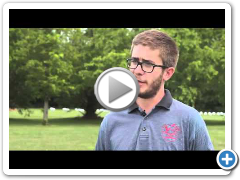 Students comment on what they learned and enjoyed about this turf management program. After serving in the military, Jennifer Torres enrolled in the Two-Year Certificate Program at the Rutgers Professional Golf Turf Management School. Now she is one of the country's few female golf course superintendents, working at Makefield Highlands Golf Club. Start with 1 cup of soil. Add 1 spoonful of turfgrass seeds. Irrigate with 1 pint of water. Bake with perfect weather. Voila! A pristine looking golf course. Yeah, right...If only it was that easy. Learn the art and science behind turfgrass management from the experts at The Rutgers Professional Golf Turf Management School. 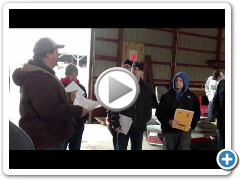 Wondering what it takes to do well in the two-year turf program? Get advice from recent graduates so you're prepared to succeed before you even pack your bags for Rutgers. Read more. The Rutgers Two-Year Certificate Program has a unique and convenient schedule. It's broken into two 10-week sessions with 9 months off in between to allow you to complete your internship and earn money. Working on a golf course is far from a dead-end job. With dedication, ambition, and the right training and credentials, you can take your passion for golf and working outdoors and turn it into a satisfying, successful career. 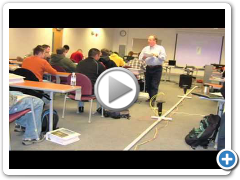 You'll be amazed by how much you learn in the Rutgers Two-Year Certificate Program. Graduates leave with skills, knowledge, a certificate that is respected by industry pros worldwide, and a network of invaluable connections. 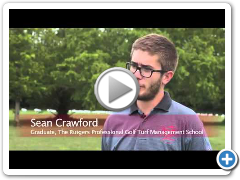 On the last day of class, students in the Rutgers Professional Golf Turf Management School share what they learned in the Two-Year Certificate Program and how it has changed their careers and lives.